The Home Show has partnered with some great media outlets in order to bring you the best and most up to date coverage available! Check out Seraphim for details on all our designers, including a full list of exclusive items from each store. Take a look at Love to Decorate for a behind the scenes look, with teasers and WIP pictures, and lots of other information! Don’t forget about our Flickr group, too! You’ll be able to see lots of vendors and ads, as well as blog posts for some amazing bloggers and photographers! Sponsored by Dekute Dekore, Dysfunctionality, Fancy Decor, Kaerri, Little Branch, MadPea, moss&mink, and *** rojo *** Body Shop & Furniture. 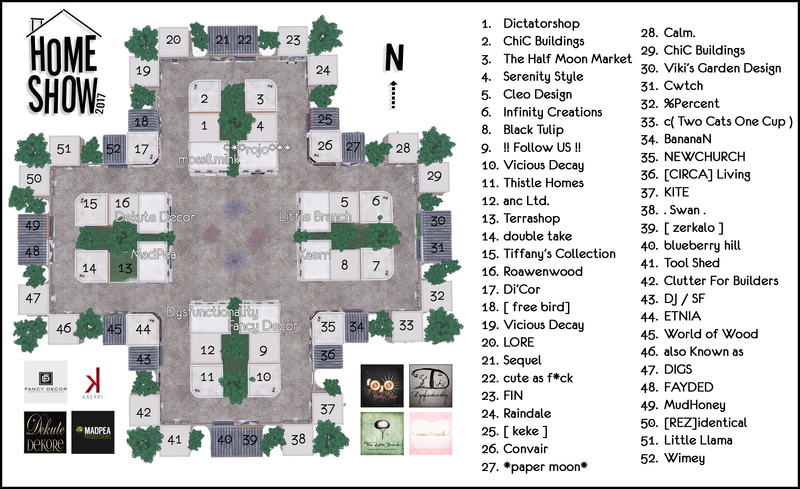 Be sure to check out these awesome stores before the event!